Parker Process Filtration’s SWC Filter cartridge offers a wide range of fibers and core materials. Roving is wound onto a center core for strength. The diagonal pattern of the media forms a tight, interlocking weave. 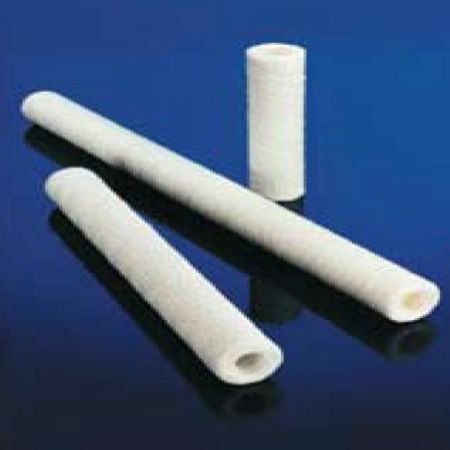 Parker Process Filtration has one of the world’s largest manufacturing plants for wound cartridges, offering superior quality along with technical, engineering and marketing support. Nominal removal ratings from 1µm to 100µm are available.